As a warrior, your hands are very much your bread and butter. Without them, you have no way of wielding your weapons! These Green Elven Vambraces echo a touch of fantasy style and hardy design that makes them perfect for wrapping around your forearms with the express intention of keeping your hands and lower arms safe from harm. 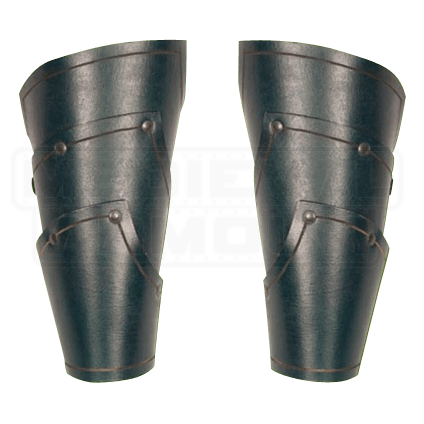 These vambraces are crafted entirely in hardy, fine leather, and they feature a design that incorporates a trio of leather plates, riveted successively together to create a progressively more narrow design that serves well in keeping your forearms safe from strikes. 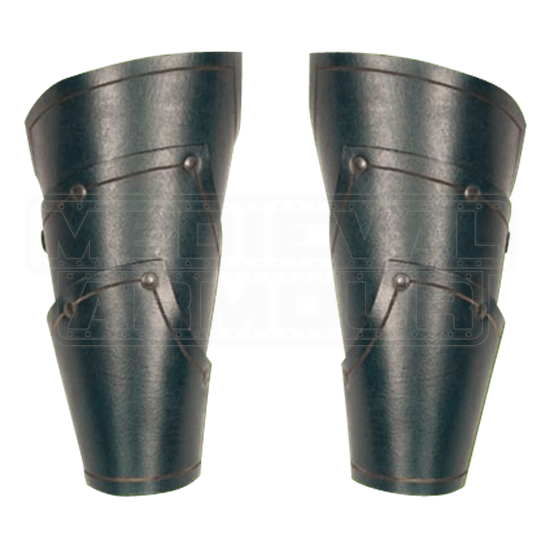 The vambraces feature a deep forest green color, and are worn using adjustable straps and buckles. Light and effective, these Green Elven Vambraces suit well a variety of fantasy styles, ranging from those of the classic ranger to the noble elf warrior and beyond. Plus, they pair perfectly with our Green Elven Battle Armor to create an intimidating armored warrior for the woodland realms.